This is a book that doesn’t leave the reader unmoved. No one, well in Sweden at least, will have missed out on the fact that comics artist Sara Olausson has a burning commitment to changing the fate of an EU migrant/beggar whom she has befriended. They have both appeared in virtually all the Swedish media these last few years, in a deliberate campaign by Olausson to generate a debate and raise interest, both for general issues of poverty, EU migrants and the situation of the Roma, as for the specific fate of Felicia. This book consists of short comics, excerpts from diaries, personal reflections, Facebook posts, transcribed speeches, Olausson’s photos from trips to Romania and more, in what feels like a cross between an autobiography, a political pamphlet and a scrapbook. What really affected me when reading was Olausson’s extremely forthright and naked way of writing, perhaps exemplified most clearly in the penultimate text, in which she writes that her husband had just left her and their three kids, and that she, at the same time as she was in the midst of the chaos that this created, was trying to figure out how she should finish the book. When you’ve come so far in the story and have experienced Olausson’s sincere commitment and struggle to get everyday life to work, at the same time as she’s trying to help Felicia, it really hurts to read this. 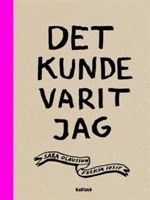 Det kunde vara jag is a book that combines an engaging autobiographical story with one of the most burning issues in today’s Swedish society. As such it is not only “important” but also very, very good. it contains a lot of fantastical elements. And all this is so clearly only the first part of building a bigger world, where Krantz seems to have all the underlying factors sorted, suggesting that there will be many more volumes set in his frightening what-if version of Sweden in the 1910s. Visually, it’s stunning. 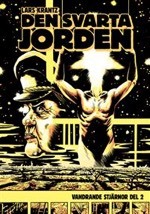 Krantz has taken another step artistically and is today at least as interesting as the international comics artists with whom he is often compared, such as Charles Burns and Frank Miller. International publishers, take note! But he has also taken another step storywise. The narrative is on one level more straightforward, at the same time as there are still elements that are not explained, but are left to the imagination to create tension and expectation in the reader. 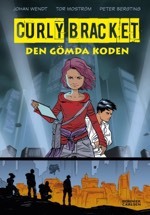 I never thought I’d write this, but this is a really good Swedish graphic novel for younger readers, with clear educational/didactic purposes. OK, the story is obviously based on The Matrix and other dystopian futures, but it is exciting and captivating, while continually presenting mathematical, or as they write in the book, ‘computer science’ problems that the protagonist must solve. The last third of the book contains educational briefings of how the hero came up with her solutions, and they are almost as interesting as the main story. The images by Peter Bergting reek of adventure and fit this story like a glove. A book I will definitely recommend to teachers who want inspirational comics for their classes. I can only hope that, as the end indicates, there are plans for a continuation, as this is the kind of comics we desperately need more of. ← I suddenly stumbled upon a parody of myself, in the latest volume of Daniel Ahlgren superhero pastiche SH3.